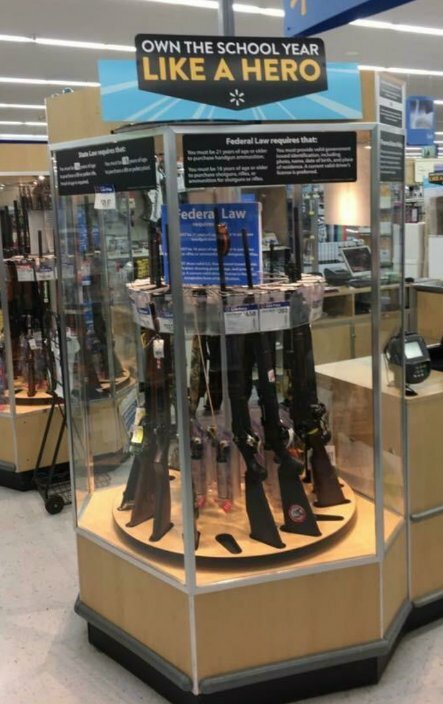 Walmart has been forced to apologise due to an incredibly unfortunate 'back to school' sign placement. The tweet quickly blew up, with over 52,000 retweets. The sign appears particularly distasteful given the large number of school shootings in America, of which there have been over 200 since the Sandy Hook shooting in 2012. Probably some up to no good kids just moved the sign. Whether an accident by a Walmart employee or an opportunistic prank, it was in pretty poor taste.